You can see forever during the winter! We tried very hard to replicate the 1800’s time period in many of our rooms, but with modern comforts of course! Please remember that we are not the Ritz in the woods. We are an Adventure Destination! We are not a hotel or chain organization. We are not a luxury resort. What we are is unique and different! If you love natural beauty, history, comfortable rooms, great country breakfasts and above all adventure and fun, then we are the place for you. We love being one of a kind and we think you will agree! Room Rates are quoted as double occupancy (2 guests per room). Please see fee schedule below for cost per additional guest. Rates include a full breakfast for 2 guests. All room are NON SMOKING. A $150.00 will be assessed to the credit card on file for smoking in rooms. Sorry, we do not allow pets at this time. *PLEASE NOTE: You WILL NOT be able to check in after 10:30 pm. Our facility is closed for entry for the evening at 10:30pm-there will be no front desk staff available for check-in. RV check-in is 3 pm to 7 pm or Before Dark, whichever comes first. RV check out time is 12 noon. Inside room rates include a full breakfast each morning of stay based on double occupancy. 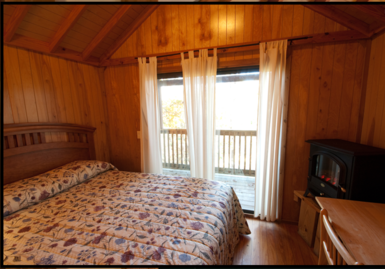 A cozy rendition of the Swiss Family Robinson’s rooms but with all the modern conveniences, our new Tree House rooms have a king bed, gas log fireplace, jetted tub for two, private bathroom with shower and covered back deck overlooking the Gorge. There is a microwave and small refrigerator in each as well as a Keurig Coffee machine. Room pricing does include a full cooked country breakfast each morning of the stay. Please remember that these really are “rooms in the air” and must be accessed by a sky bridge. The rooms will move a little but are perfectly safe and some movement is normal and to be expected. Beautiful rooms, Great views and a unique lodging experience. 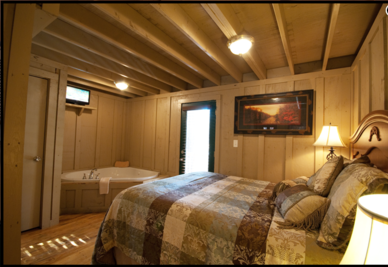 Relax in our Creekside Jacuzzi room with your special someone. Our creekside Jacuzzi room has a BIG Aspen Log King bed, a sitting area with a chair and ottoman, desk, private bathroom, in-room double jetted tub, gas log fireplace (operational in cold weather months) and decks overlooking the creek and gorge. Enjoy an in-room mini-refrigerator, Keurig coffee machine, and satellite TV. Most rooms have WiFi. Great for 2 guests. 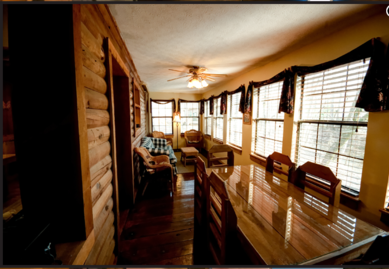 Our pine log cabin rooms are free standing with a front and back deck. Most overlook the creek and gorge. Cabin rooms have an open queen bedroom downstairs with a double jetted tub. There is a gas log fireplace (operational in cold weather months). There is a small sitting area on the main level with a table, 4 chairs, and a futon. There is an upstairs open loft with 2 twin beds, 1 private bathroom, Mini-refrigerator, and microwave. There is satellite TV. This room DOES NOT have a full kitchen! Great for up to 4 guests. 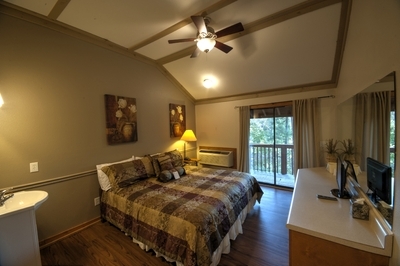 Our cute lodge rooms are our smallest and most economical. They have either two extra long and extra wide twin beds or they can be combined for a nice King bed. All have private bathrooms, tv, and access to a large outside deck overlooking the gorge. Great for 1 to 2 guest. 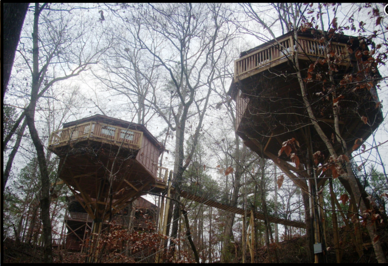 We have 5 full-size family type cabins. The full-size cabins have full kitchens with pots/pans, coffee maker, silverware, and tableware. There is a charcoal grill but guest must provide the charcoal. We do NOT provide food or coffee. There are NO hair dryers in the cabins. The Full-size cabins can sleep 4 to 8 depending on which cabin a guest reserves. Rates differ according to which unit is rented.Rates quoted DO NOT include a breakfast. 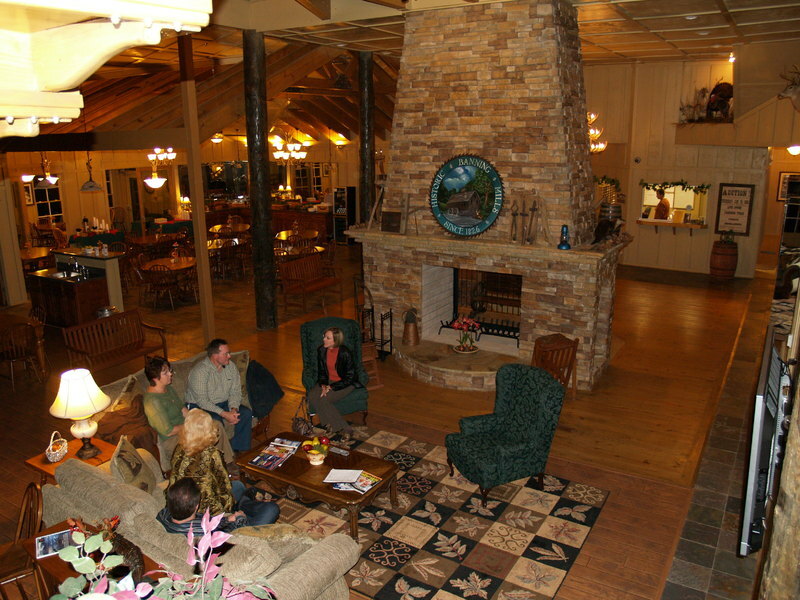 However, you may make reservations with the front office staff if you would like to dine with us at the Country Inn. Guests must check in to the cabins BEFORE dark. Romantic Dinner for two: $75.00 includes fruit and cheese platter, homemade bread, salad, entree and two sides, dessert and tea, water or lemonade. Horseback riding: one hour is $50.00 pp and the two-hour ride is $79.00 pp. Packages and spa treatments must be scheduled in advance. Packages are based on two people. We will try, but can’t guarantee a confirmed reservation with short notice. We are here almost every day and welcome you to contact us at 770-834-9149 or send an email when you are ready to plan your weekend getaway, group event, family adventure vacation or corporate retreat. Historic Banning Mills is a non-profit retreat and conservation center. We are a non-smoking facility. We have gas log fireplaces which we turn on after the first frost and turn off with warm weather. Our pool is seasonal. We open the pool the last weekend in May and close sometime in September. Some of the adventure treks have restrictions. Please call us for details or browse our website for more information. Packages must be scheduled ahead of time. We will try but can’t guarantee short notice bookings especially for the adventure treks. Please remember that we Do Not have a Public restaurant. We do have a wonderful chef and we can prepare lunch and dinner if you let us know ahead of time. If you do not reserve a meal ahead of time (excluding breakfast), we may not be able to accommodate your dining needs. We are a short 15 to 20-minute drive to eating establishments or you may bring some take out to eat in your room after your check-in. We do have a 7 day BEFORE the reservation date cancellation policy in place. We take cash, Master Card, Visa, and Discover. We no longer accept American Express. We do not take personal checks. Remember: Your card was charged at the time of the reservation in full. Cancellations outside the cancellation period: your card will be refunded in full minus a $20.00 processing fee. Cancellations inside the 7-day policy: a one night stay, 50% of any adventure/spa services scheduled and a $20.00 processing fee will be kept on the card with the remainder refunded. No shows or day of cancellations will not be issued any refunds. 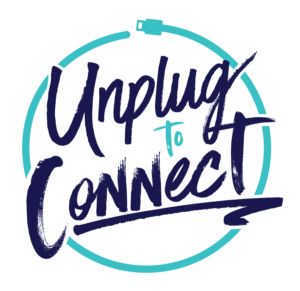 We are here almost every day and welcome you to contact us at 770-834-9149 or send an email, info@historicbanningmills.com when you are ready to plan your weekend getaway, group event, family adventure vacation or corporate retreat. Historic Banning Mills is a non-profit retreat and conservation center. We are a non-smoking facility. Packages must be booked with a Reservations Agent. 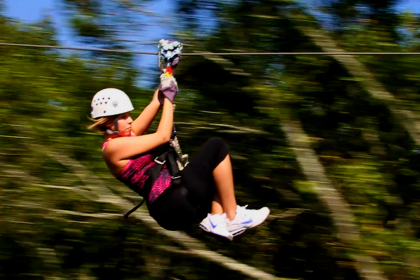 Please call 770-834-9149 to book your Lodging and Adventure Package.